Its shape is a rectangle with curved handles. 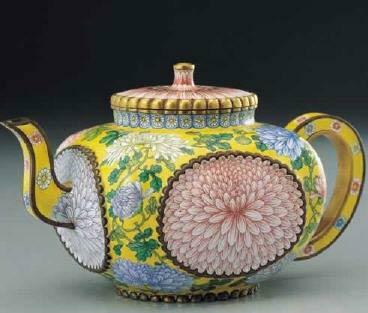 The surface is painted with chrysanthemum.This pot is unique in the theme of chrysanthemum. Its modeling design, painting technique and sintering process were state-of-the-art during that time. 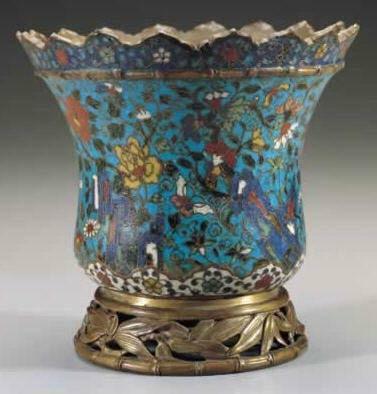 The surface of the flowerpot is light blue, decorated with flowers, moirés, peony, chrysanthemum, butterfly and stone. It has both decorative and practical value.